Report by Director of Sport, David Gibson. A huge number of pupils have represented the school during some memorable fixtures including the U18 Champions Trophy and U14 County Cup. The 1st XV have been highly competitive but had mixed fortunes with their results on an incredibly challenging fixture card. They recorded fabulous wins against KCS Wimbledon (26-17), UCS (52-0) and Radley College (32-17) in the Champions Trophy. However, they have also come up against exceptional opponents in defeat to a Sedbergh. The visiting side included nine players selected for international training squads. 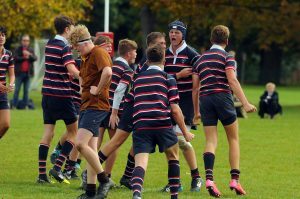 To their credit they showed enormous character following a heavy defeat to bounce back in their next match to beat RGS High Wycombe away from home. We wish them well next half term. 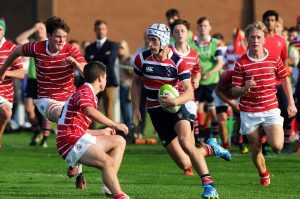 The Colts A XV have been equally competitive winning five of their six matches including excellent victories against Sedbrgh (7-3), RGS High Wycombe( 31-19) and Felsted (55-3). 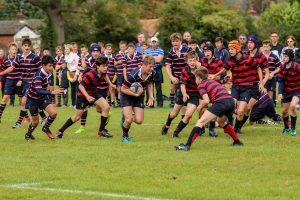 The U16B XV and U14B XV are both unbeaten and should be delighted with their progress over the past seven weeks. The most successful team this half term has been the U14A XV who have won all seven of their matches scoring 329 points in the process. Their win in the county cup against The Bishop’s Stortford High School (41-7) during the past week means they progress to the quarter finals after the half term break. We look forward to seeing how all of our school rugby teams progress following a well-deserved half term break, well done to one and all.